Home > What is climate change? The Shoreline Explorer contains data for exploring the characteristics of the Australian coast at the present-day. These characteristics are a guide to the sensitivity and vulnerability of the coast to inundation and erosion now and in the future. 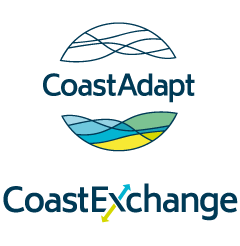 CoastAdapt focusses on present-day and future climate change caused by the release of greenhouse gases into the atmosphere from human activities such as industrialisation and land clearance. Sea-Level Rise and You contains data at the local council level on future risks from sea-level rise and inundation.